PFM offers retail analytic solutions that will help drive your sales conversion, marketing effectiveness and staff planning. 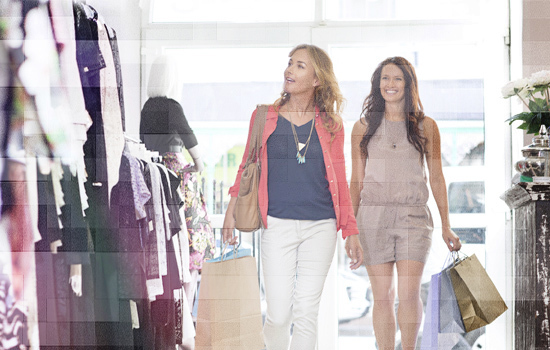 The retail industry is becoming more complex and customer behaviour is constantly changing. 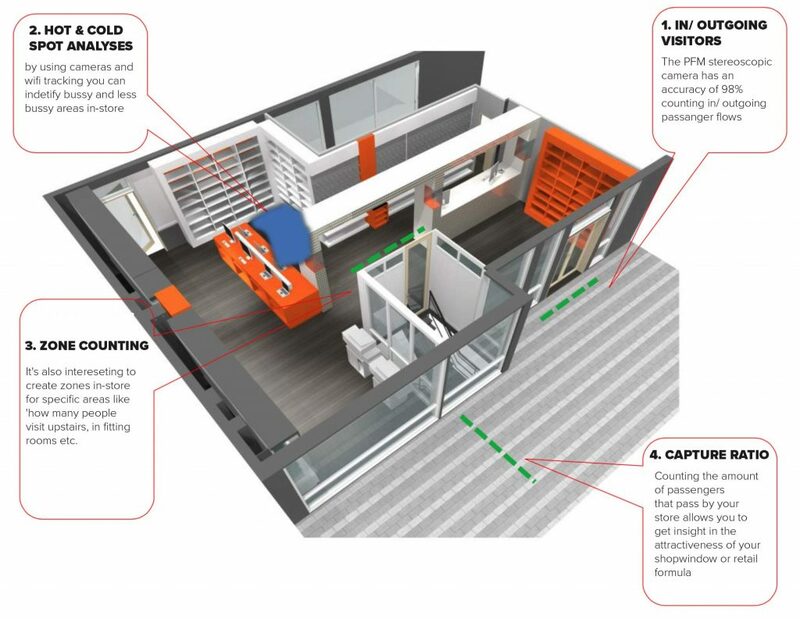 By using people counting PFM provides valuable insights to help you understand what is happening inside your retail space. Our expertise and advanced counting techniques ensure detailed and accurate information on customer movement. Discover how long customers stay in your store, what route do they take and what the average spend is in your store. A profound understanding of your customers behaviour gives you the opportunity to adapt your strategy quickly, that enables you to make informed decisions supported by data to improve your store performance which is a powerful and smart competitive advantage. 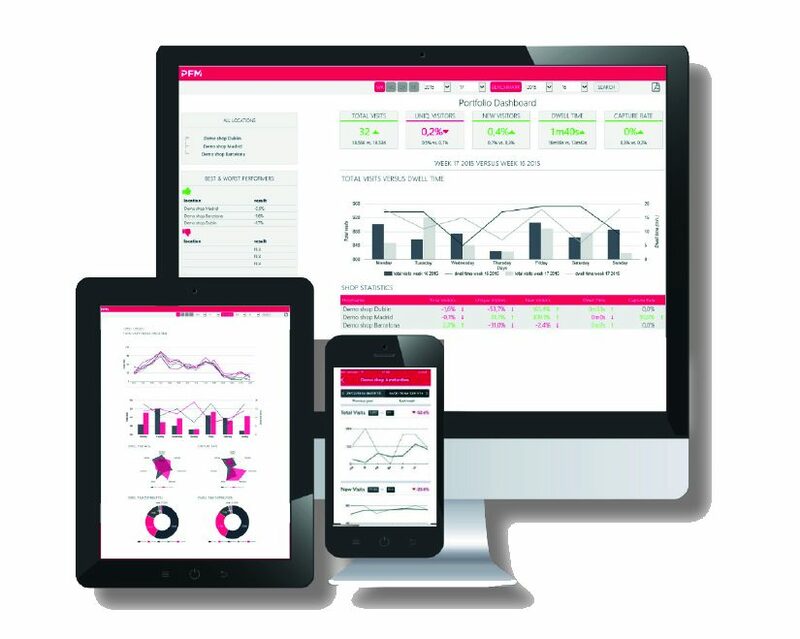 Our online platform, the PFM Retail Dashboard, enables you to access your data whenever and wherever you want. Easy to understand information enable our clients to improve store performance and layout, maximize sales potential and enhance efficiency in staffing. Would you like to know more about our retail solutions and how we can help improve your store’s performance? Please contact us: sales.uk@pfm-intelligence.com. Lush is a professional organisation where the customer and the customer experience are the main focus. When making decisions in line with this philosophy, management makes decisions based on data. Years ago this resulted in the partnership with PFM as a supplier of people counting systems and footfall data. The question was clear: Understanding footfall data to increase conversion and plan staff effectively. The management of C.A.S.T. has indicated that they want to have more insight into the visitor movements within C.A.S.T. and project this information on the type of ‘visitors’. In addition, there is the possibility to build an app to share information with these visitors in the future. Everything with the focus to better match supply and demand of the (potential) customer. At the beginning of this year we were approached by Norah, because they wanted to professionalize the business. The request towards PFM was therefore to install people counting systems in their nearly 50 stores (spread across the Netherlands) to gain more insight into conversion. Before the order was given for all stores, Norah first wanted to see what PFM could mean for Norah.